Happy Holidays everyone! I thought I would do a quick post today just in case anyone has any holiday parties tonight and they need something quick, easy and of course healthy, to make. 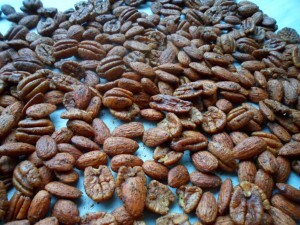 Roasted and spiced nuts are a great choice because they are super easy to make and easy to transport. You can also put them in cute decorative jars and give them as gifts. 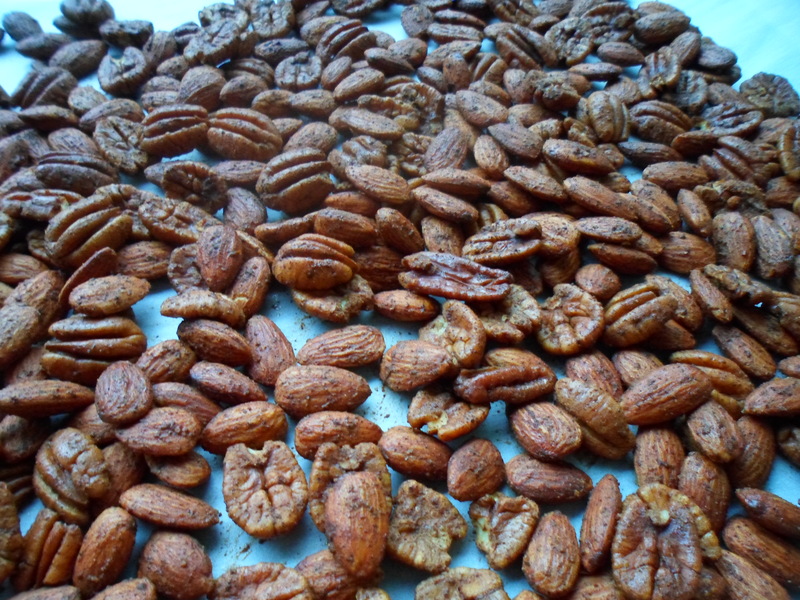 Nuts are full of protein, fiber and healthy fats and make a great snack food or appetizer. They are great for your heart because they can help lower “bad cholesterol” levels, raise “good cholesterol” and may also reduce your risk of developing blood clots. Many studies link nut consumption to a decreased risk in heart disease and also find that those that eat nuts frequently tend to weigh less than those who do not eat nuts. However, nuts do contain a lot of calories due to their high fat content so make sure you try and limit yourself to about a 1/4 cup portion. 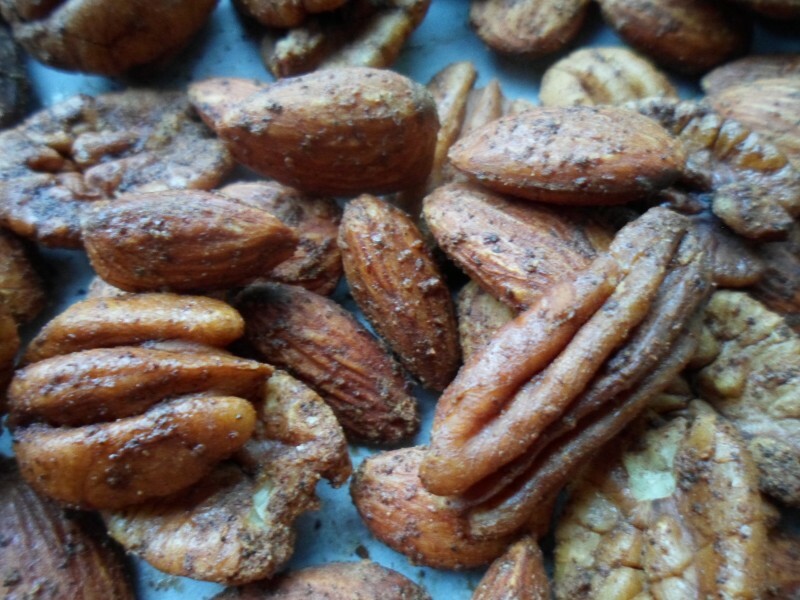 Many roasted and spiced nuts recipes contain loads of butter, and some add a lot of sugar so I wanted to make something very simple with some “I can’t believe it’s not butter light,” a little bit of brown sugar and lots of spices so I don’t add a ton of extra calories. Preheat oven to 350 degrees. Add nuts to a large mixing bowl. Mix cinnamon, nutmeg, allspice and ginger in a small bowl. Put “I can’t believe it’s not butter light” in a small microwaveable bowl and heat on high for about 30 seconds or until melted. Add brown sugar to melted “I can’t believe it’s not butter light” and stir until dissolved; then stir in vanilla extract. Pour liquid mixture over nuts and stir until coated. Add spice mixture to nuts and mix well until uniform. Line a baking sheet with parchment paper and spread nuts out evenly over the parchment paper. Bake for 10-15 minutes, stirring nuts about half way through for even cooking. Remove from oven and allow to cool.